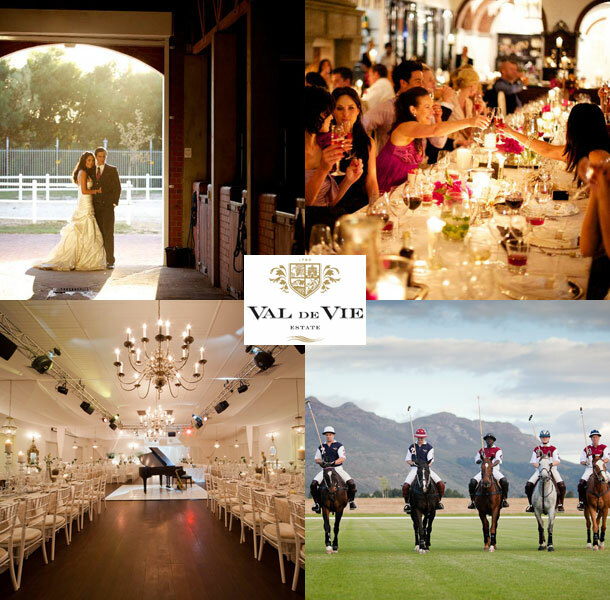 We cordially invite you to celebrate your dream day in the Val de Vie Polo Pavilion situated in the beautiful Paarl Valley, a spectacular entertainment area with a magical ambiance. The Val de Vie Co-ordination Team ensures that every celebration is a unique occasion, with every small detail attended to by industry experts. Expect nothing less than the exceptional. Hosting an event at Val de Vie offers you the luxury of choice. With several unique venues within the estate, you can discover the perfect setting in which to celebrate your wedding. The Ballroom is a prestigious venue for a luxury wedding. The ballroom can seat up to 300 people and includes an imported bamboo laminated dance floor, gleaming marble tiles and three huge silver chandeliers. Equipped with some of the finest facilities in the land, this is an unparalleled setting. Entertain in style at the Founder’s Lounge, an intimate venue. With its beautiful gardens, the elegant Manor house is ideal for outdoor weddings (weather dependent). For a relaxed but elegant event, tables can be reserved at The Polo Club Restaurant. 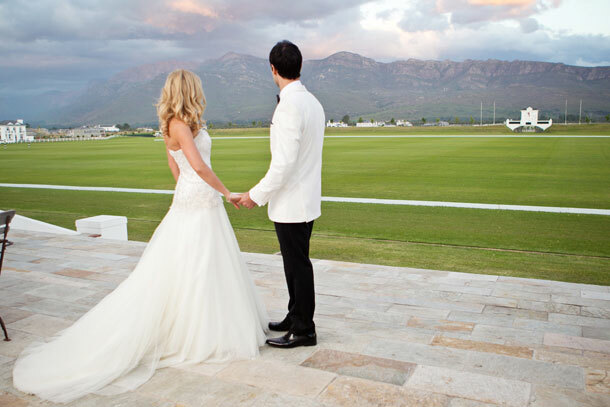 Val de Vie Estate is the only residential estate in Africa that offers you the opportunity to enjoy a private polo game during your wedding. A polo game at Val de Vie is nothing short of spectacular, capturing a true sense of tradition and occasion. Our events team will help you to add the excitement and elegance of this noble sport to your celebration. A Rolls Royce drives the wedding couple to the side of the polo field, where they can watch a line of polo ponies walk in procession as the Val de Vie anthem plays. When the polo players reach the couple, they receive the chance to start the game by throwing the ball in. The polo match will keep guests captivated for 45 minutes, allowing the couple plenty of time to have their wedding photos taken on the estate. To book your wedding at this magnificent venue telephone Iza on +27 (0)21 863-6191. Alternatively for further details or to send an enquiry visit Val de Vie Estate.